You can get a preliminary consultation or a second opinion of a leading Israeli physician by phone, Skype or email. Remote consultation of an Israeli doctor. If you need a qualified help and advice, we will recommend a specialist for your specific case. Please contact us. 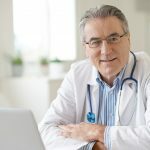 One of our consultants will provide you with all the necessary details regarding consultation online, information about documents and reports that should be sent us for a doctor’s consultation. As a result of the consultation, we will provide you with a doctor’s opinion report including treatment recommendations in English. When you have a cardiological problem it is very important to get an independent second opinion of the leading israeli cardiologist about your diagnosis. In order to get an opinion you can come to Israel for the appointment of our cardiologist personally or consult with him online via Skype. Colon cancer, Breast Cancer, Ovarian Cancer, Lung Cancer, Stomach cancer, Pancreatic cancer , Cervical cancer, Brain cancer GBM type, Head and neck cancer, Liver cancer, Acute leukemia, Prostate cancer, Thyroid Cancer, Stomach cancer, Prostate cancer, Testicular cancer, Melanoma, Bone cancer, Kidney cancer, Penile cancer, Esophageal cancer. Immunotherapy. Onco-genetics is hereditary cancer. Risk of cancer development, genes mutations tests, including BRCA, children cancer treatment, including osteosarcoma and soft tissue sarcoma in children. We provide consultations of leading Israeli cancer physicians and oncogenetic experts, via Internet, skype. Preliminary or second opinion remote consultations are needed in case you are not able to visit oncologist’s consultation in Israel, but you have questions. Consultation online, Skype, internet, remote preliminary consultation of the most recommended Israeli orthopedists (hip, knee, shoulder, elbow, spine, ankle, wrist problems) for those who can not come to Israel or want to consult with a doctor before the trip.